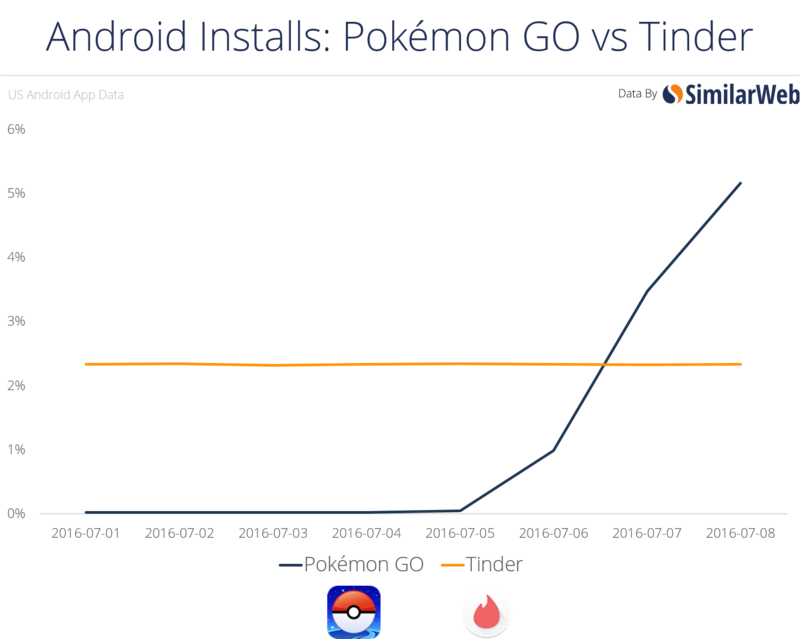 More people are looking for Dragonites and Hitmonlees than hot dates. 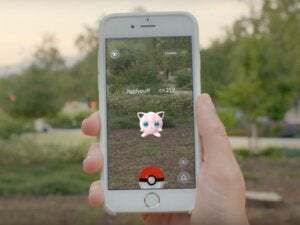 The long dreamed-of Pokémon augmented reality game—whose roots may have been in a Google April Fool’s prank from 2014—landed on Android and iOS on July 6. 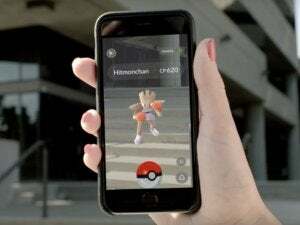 Less than a week later, it’s become a worldwide phenomenon despite the fact that it’s officially available only in Australia, New Zealand, and the United States. Pokémon Go came out on July 6, and by July 7 it was on more Android phones in the United States than dating app Tinder, according to SimilarWeb. A day later, on July 8, a whopping 5.16 percent of all Android devices in the U.S. were rocking Pokémon Go. 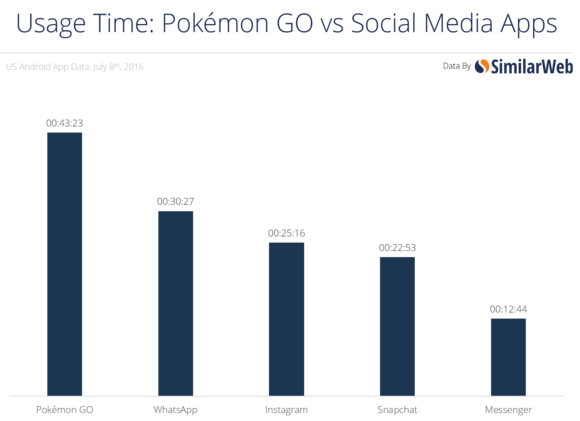 A staggering 60 percent of Android users in the U.S. are playing the game every single day, SimilarWeb says. That is amazing, and the game is apparently matching Twitter in terms of daily user numbers. The rest of the world wasn’t willing to wait for Pokémon Go’s official international rollout. 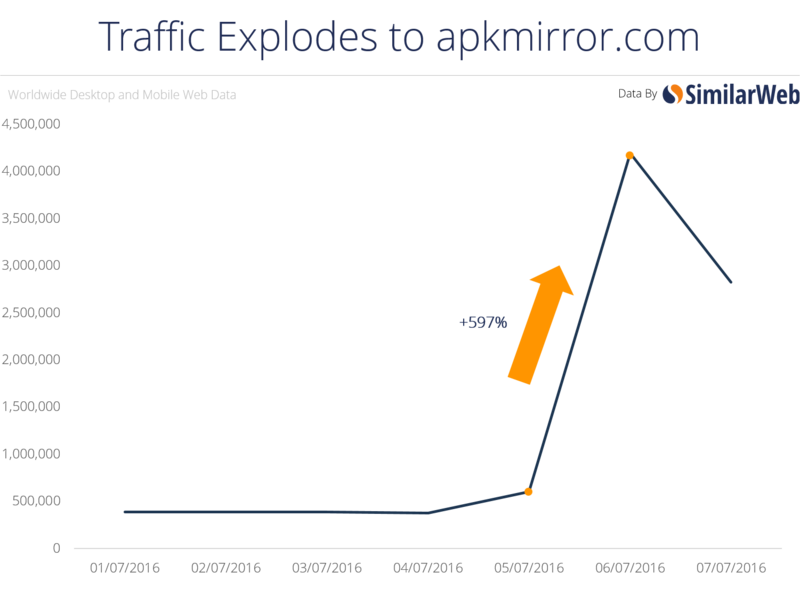 When APKMirror uploaded the app to its servers, users came looking for it in droves. (APKMirror is an unofficial site where you can download Android apps, or APK packages, and sideload them onto your phone.) 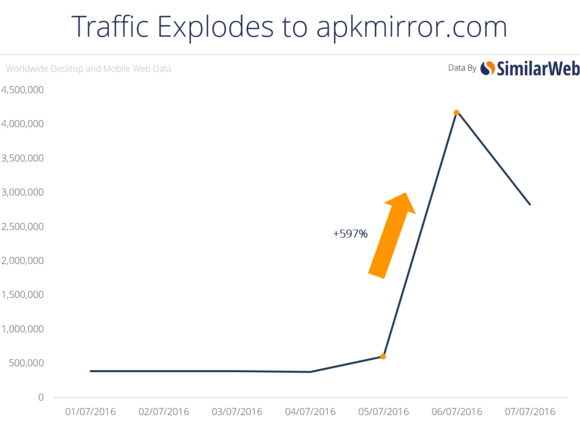 SimilarWeb says APKMirror received around 600,000 visits on July 5. That number jumped to 4 million on July 6. Pokémon Go isn’t all fun and games, however. The app is also having some odd side effects. We recently reported that particularly savvy criminals were luring unsuspecting gamers to remote locations in order to rob them. 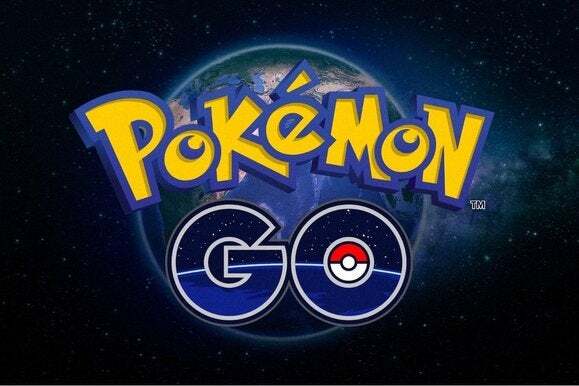 Online criminals are also attempting to lure unsuspecting Android users into downloading fake versions of the game loaded with malware—something to keep in mind if you resort to an unofficial download in a country where Pokémon Go hasn’t been released yet.